Inspired by the pursuit of the three Minis through Turin in The Italian Job, I decided it was time to stake my claim to the best car chases. Honestly, there are so many great choices that I had to eliminate a horde of worthy contenders. These five (and the two near-misses) stand as the most original, intense sequences that I’ve ever seen on screen. Also, the common thread is a minimum of CGI, which can look impressive but lacks the in-your-face tone of practical effects. Without further unnecessary rambling, let’s get to the list! The Bourne trilogy contains many exciting chases, but few could match the simplicity of watching Bourne (Matt Damon) and Marie (Franka Potente) elude French police and the CIA in the crowded streets of Paris. 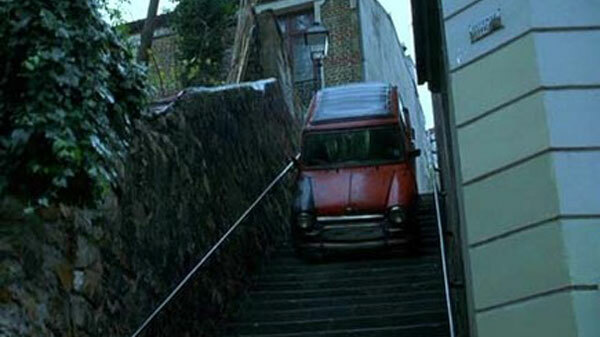 Driving a Mini-Cooper, they race down steps and through narrow alleys, which is a nice homage to The Italian Job. With Death Proof, Tarantino takes a much different approach and delivers a high-voltage thrill ride in muscle cars. Zoe Bell does remarkable stunts aboard the hood of a 1970 Dodge Challenger while they’re pursued by the vicious Stuntman Mike (Kurt Russell). That’s only the first stage, and Bell and her pals deliver fist-pumping retribution by the end. I discussed this sequence in my post during the We’re All Dead! Marathon, so I won’t go into too much detail. 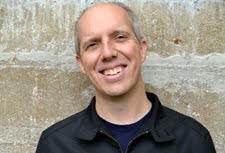 Basically, the final act of the movie includes a white-knuckle chase sequence involving a big-rig truck, motorcycles, and many other vehicles. George Miller puts us right in the middle of the action, which doesn’t let up until the explosive finale. I didn’t see this Steve McQueen cop thriller until a few years back, and I expected the highly praised chase sequence to be a letdown. How could it live up to the hype? 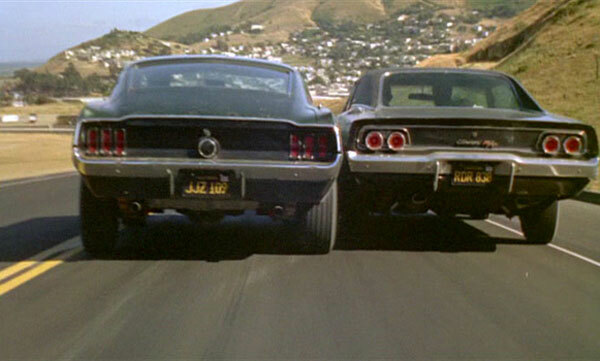 Amazingly, watching McQueen speed a Ford Mustang through the hills of San Francisco actually exceeds the acclaim. This 10-minute pursuit reaches unbelievable speeds as the Mustang tries to catch an equally adept Dodge Charger. This remarkable John Frankenheimer thriller includes two stunning chases that rank among the best ever filmed. For this list, I’ve chosen the Paris chase through the tunnels under the Seine, which takes place later in the movie. 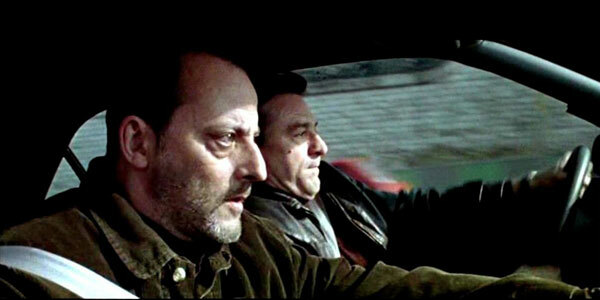 The genius of this sequence is sending Robert DeNiro’s Peugeot against the flow of oncoming traffic at high speeds. It’s the highlight of an underrated movie that improves on repeat viewings. I nearly forgot the truck sequence from this Spielberg film because there are so many classic moments in this movie. Yes, it begins with our hero riding a horse, but it still qualifies for me. The combination of music, pitch-perfect editing, and remarkable stunts makes this one of those sequences that you never forget. Indiana Jones is not a superhero, which makes his daring attempts to grab the Ark even more riveting. This is Hollywood moviemaking of the highest caliber, and it’s only a small part of this consistently exciting movie. 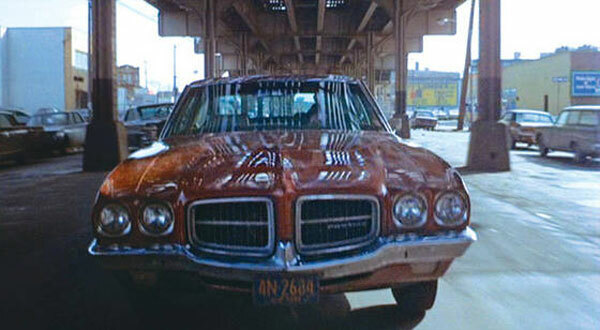 I know this is an obvious pick, but I’ve yet to see a car chase that can match the intensity of watching Popeye Doyle (Gene Hackman) race through the streets of New York City. Pursuing a drug dealer in an elevated train, Doyle drives at ridiculous speeds and barely avoids other cars and even a baby carriage. The reason this chase rises above the rest is the direction of William Friedkin, who places us inside the car and raises the intensity to an almost-unbearable pitch. I'd love to hear your thoughts about this list. What are your favorite car chases? You should also check out the archive of past Top 5 Lists if you've missed them. Next week, I’ll be heading to the bank to watch Elliott Gould and Christopher Plummer match wits in 1978's The Silent Partner. Not a five-top list I'm afraid, but as soon as you talk about memorable car-chasing scenes I get to think about Spielberg's Duel from 1971. But maybe it falls outside of your definition? Creepy. I think Duel would be eligible. I saw part of it years ago, but don't feel that I remember it enough to put it on the list. It's definitely on the list of movies to see. Thanks Jessica! i think the bourne identity deserves more than an honourable mention, that chase scene is one of the best modern car chase scenes simply because nothing explodes. I agree that it's one of the great chase scenes and could be on there. The #5 pick was the toughest because there were so many classic options. The Raiders of the Lost Ark car chase would definitely be one of my favourites. I think I'd have to give some love to the original Italian Job too. Dan, no arguments from me on The Italian Job. While I wasn't completely thrilled by the movie as a whole, the car chase was excellent and a lot of fun. There were so many good choices for this list. Pretty awesome list of car chases. There are so many out there that to hone it down to 5 is pretty impressive. Thanks Custard! You're right about the large amount of options available. There are easily another five that would be good choices. Cheers! Thanks Castor! I haven't seen the original Gone in 60 Seconds, though I've heard it's better than the Nic Cage remake. I'll have to check it out. Oh how could I have missed this post! I LOVE movie car chases and I agree with all your picks of the ones I've seen. I only saw the clip of Bullit and French Connection and both deserve a mention for sure. The Bourne Supremacy one w/ Karl Urban was pretty cool and I think deserves at least an Honorable Mention. Oh and if truck chase is eligible to be on the list, I'd recommend the Licence To Kill final scene between Bond & Sanchez, ridiculous but wildly entertaining. 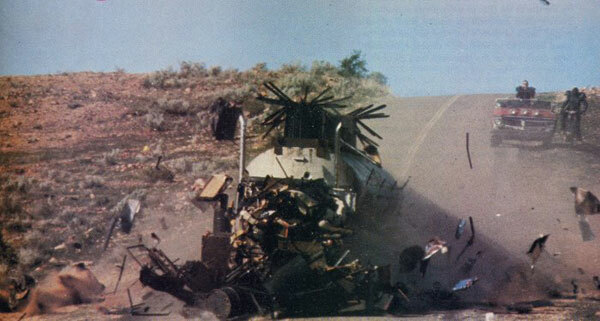 Ruth, I can't believe that I forgot that License to Kill truck chase! That's the highlight of a truly underrated Bond movie. I did consider the Bourne Supremacy chase, but I feel like Greengrass uses too much quick cutting. It's an exciting sequence but is a bit too hard to comprehend at times. It feel just outside the list. YAY! Always nice to hear people praising Dalton's Bond movies. I'd put the Licence To Kill one before the Bourne Supremacy chase to be honest, just 'cause truck chase is more rare to see and it was such a hoot. It's also one of the best villain's death scenes in a Bond film IMO. I wouldn't say the original Gone in 60 Seconds is better as it's pretty shabbily made at times with the actors talking off-screen through the entire duration but the car chase at the end is totally awesome. Ruth, Sanchez's death scene is definitely one of the classics from the franchise. It's a great scene and is a rare case with a personal connection for Bond. Castor, I still may check out Gone in 60 Seconds in the future for the chase, though it may be a little while due to the always-growing list of movies to see. Thanks for the info! I second Castor on the original Gone in Sixty Seconds chase. Actually I more or less forced him to see it when he still did reader demands from top commenters over at AM. Just found your site. Great list and I immediately thought of both Bullit and The French Connection. The whole feel of French Connection..the grittyness of it all is something I absolutely love. Never seen the Road Warrior, but this sounds very cool. Thanks! I definitely agree about the gritty side of The French Connection. It's something that's hard to match, even with the latest CGI effects. I expect you'd enjoy The Road Warrior's chase for similar reasons.